The Holden Hearse. 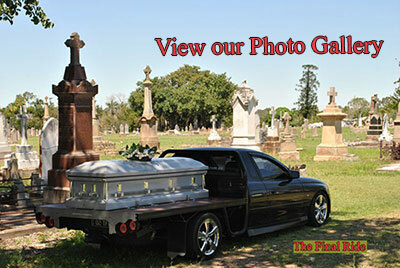 A little different yes, the thought of “going out on the back of a ute” may not appeal to all, but we believe that this hearse would suit Truck Drivers, rural people or die-hard Holden lovers. The colour of this particular Hearse matches the Final Rides original theme of “Black and Chrome” with the addition of a timber inserted tray. When a casket is placed on the tray it can be decorated to suit the individual with suggestions like hay bales or the like.